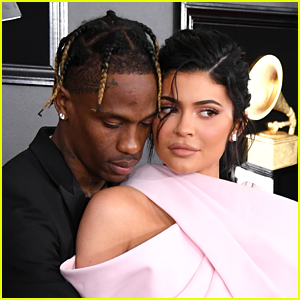 Kylie Jenner & Travis Scott Embrace Each Other & Kiss In New Instagram Pic | Kylie Jenner, Travis Scott | Just Jared Jr.
Kylie Jenner and boyfriend Travis Scott aren’t afraid to show their love for each other. In a new post on the 21-year-old reality star’s account, the duo share a kiss while embraced in each others arms on the steps of a private jet. “💕🥰🦋💫⭐️✨🤪,” she captioned the image. 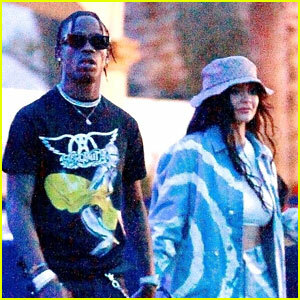 The couple were on their way to the 2019 Coachella Music Festival, where they were photographed walking around while holding hands. 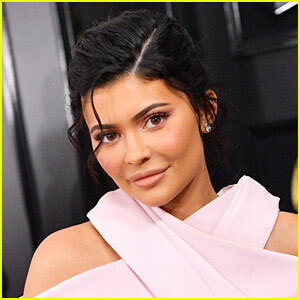 That day, Kylie also wished her niece True a “Happy Birthday” with a sweet photo and a cute caption. “BLESSED💕✨ happy birthday beautiful True. your energy is RADIANT and so so special! i love you and can’t wait to watch you grow💫,” she wrote. Earlier in the week, Kylie was seen wearing Nike sneakers, despite being an Adidas brand ambassador, while out shopping in Beverly Hills with Travis. 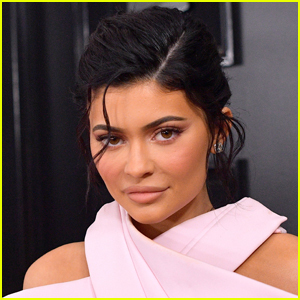 Kylie Jenner Grabs Dinner with the Kardashian Sisters in L.A.